Space £10 (can be paid on day but space must be booked via email to victoria@absafe.org.uk or calling 01224 823157. All stall fees raising funds to keep your local children safe. Come down…clear out the clutter. Please note the finishing time of this event will vary. Description: Taste of Grampian is Scotland’s biggest one-day food festival. It attracts nearly 200 exhibitors, celebrity chefs, live cookery demonstrations as well as a Motor Show. There is something for all ages. £5 entry per person. Children under 16 are free. Description: Throughout June join us to explore the life under the North Sea in our new show! Through the energy and fishing industries, the people of Aberdeen are strongly connected to our local waters, but humans are not the only animals who rely on the North Sea. Come along and discover the other mammals who call the North Sea home and the technology that is helping us to better understand the lives of our flippered and finned friends. Description: Become a Mouse for the day and follow the self-led trail around the wood, taking care to look out for the Gruffalo! Children to be accompanied by an adult at all times. Adults are free. To help us manage the event and allow all the children a chance to meet the Gruffalo and hear the story telling, please purchase either a morning or an afternoon ticket. Please note that there will be no activities between 1pm and 2pm and you should allow a minimum of 90 minutes to complete all activities. Description: Experience our recreation of the Victorian Era, in the infancy of the Royal Deeside Railway. The railway staff will be dressed in period costumes and additonal attractions will bring the railway car park alive. Description: Scotland’s best value festival is selling fast. 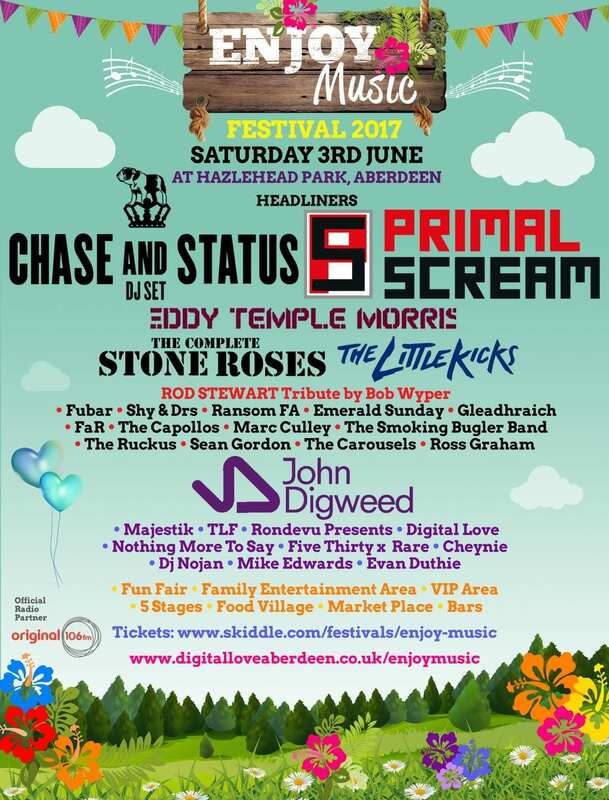 Aberdeen’s Enjoy Music Festival returns with Primal Scream and Chase & Status confirmed as headliners. The festival will feature a comprehensive entertainment programme for all ages including amusements, showcase performances, workshops, the kids creative zone and lots more. The Family Entertainment area has something for everyone and also includes a baby feeding and changing area. Enjoy Music is Scotland’s fastest growing and best value music festival, with tickets costing substantially less than at other major music events. All Persons under the age of 18 MUST be accompanied by a responsible adult aged 21 or over at ALL times. Our first YouTube video is now live! 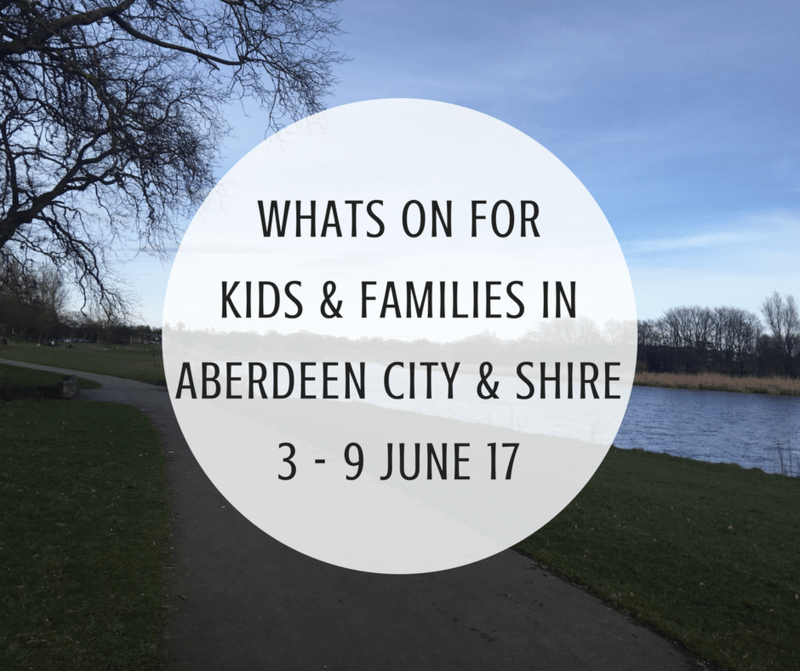 Featuring the launch of NCT Aberdeen City & Shire’s Bump Club, why not check it out here! Description: There will be a special appearance from the Guarana Street Band as well as; a bouncy castle, face painting, bottle stall, chocolate stall, various stall holders, food, story time in the summer house and a variety of pirate themed carnival games! Entry is £1.50 per adult and £1 per child, price includes a glass of pirate punch and a golden biscuit! 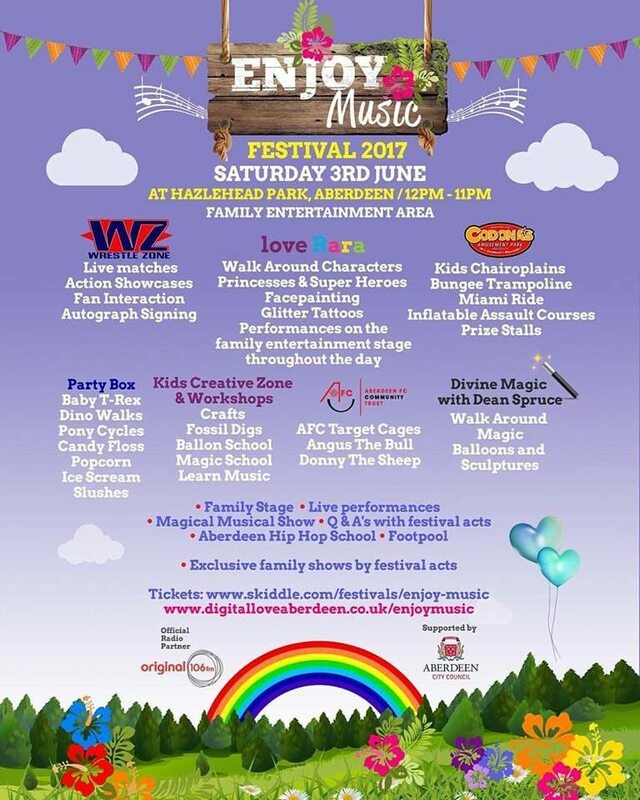 Description: Deeside Activity Park / Cairnton Farm, The home of Cairnton Aberdeen Angus are taking part in Open Farm Sunday again this year . We shall have lots going on from our very own Aberdeen Angus Cattle being here at the park so you can get up close and personal with the animals. We shall have some Pigs and piglets, Sheep and Lambs, Hens and Chickens and we may even take one of the horses down too. We plan to have tractors on site both old and new ones with a Digger too. We shall have Tours going on in the Tractor And Trailer with Farmer Ken, who will be giving the tours and answering any questions. Our outside BBQ Grill will be serving up our very own award winning Cairnton Aberdeen Angus Beef, as steaks and handmade burgers, Showing everyone first hand farm to fork at its very best. We shall also be serving up Sandy Ingram’s Sausages and bacon as well as having something on offer for any vegetarians. Our Award winning coffee shop will be open and we have a fantastic tuck shop for that sweet treat too. We have plenty of free parking, and look forward to everyone coming and joining us getting up close and personal with the animals and machinery. Description: Thanks to all detectives who joined us in last week’s bookclub meeting. It was great fun and our murder mystery was successfully solved. We’ll be reading next Manxmouse by Paul Gallico and I really hope for everyone’s sake the poor thing makes it through without a scratch! Description: It’s time for our June sling meet! As Summer approaches we are inviting you to join us for sling chat, hires, help with your own carrier and demonstrations. 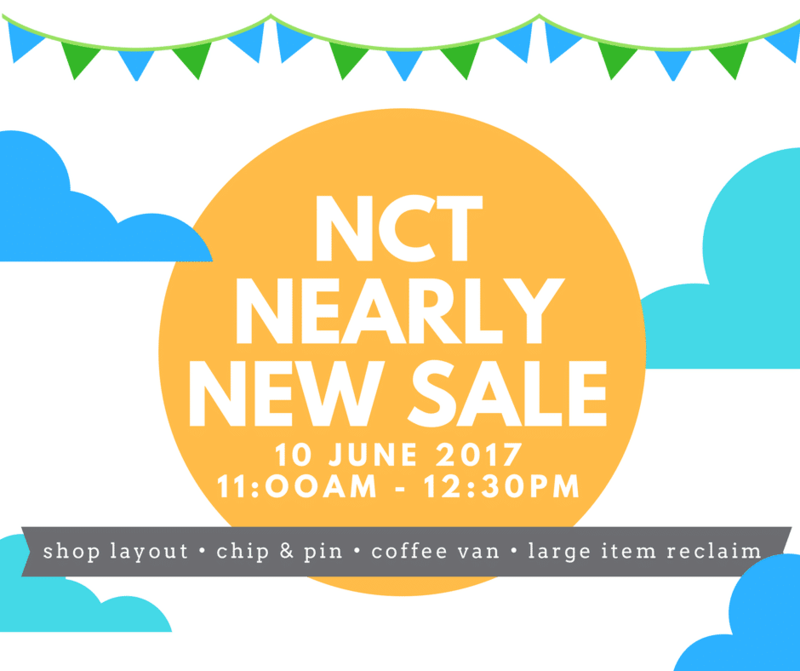 Description: Help raise money for charity whilst saving yourself some pennies – our next big NCT Nearly New Sale is on Saturday June 10th from 11am to 12.30pm at Portlethen Academy! It’s a one stop pop up shop of everything you need for your baby or child from 0 to 5 years. Clothes, books, toys, baby equipment, slings, buggies, jumparoos….all at bargain prices! Join the event and let your friends know – you won’t want to miss it!